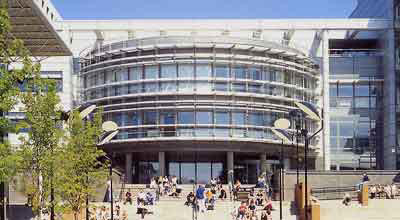 Glasgow Caledonian University is a multi-award winning university with a main modern campus conveniently located in the city centre of Glasgow; Scotland’s largest city. The institution aims to provide a strong focus on employability, leadership, and responsibility across its academic schools to provide students with the opportunity to excel both locally and internationally. GCU is composed of 17,000 students from over 100 countries and a range of backgrounds, which helps make the GCU learning experience inclusive and unique. The university is made up of seven academic schools in the areas of business, health, science & technology, the schools of life sciences, nursing midwifery & community health, and health and social care. GCU is acknowledged as one of the leading vocational education providers in the country. Students can choose modules (courses) from a wide range of available subjects in seven academic schools: Business & Society, Health & Life Sciences, and Engineering & Built Environment. Please scroll down to "Course Transfers Reference Table" to see how courses from GCU transferred to UMB. Study in Glasgow and earn 3 credits during this affordable 3 week program. UMass Boston students receive a discounted price for the program. 3. A personal statement stating why you are applying for an exchange, your background, experience, and what you are seeking to achieve as an outcome of your studies. The GCU Student Accomodation Office will assist students in finding housing in Caledonian Court, the on campus residence halls, or off campus in a private apartment. US citizens who are studying in the United Kingdom for less than 6 months and do not plan to seek work of any kind (including paid or unpaid work, interning, or volunteering), can enter the UK on the Short Term Student Route (previously known as a "Student Visitor") with the appropriate documentation. The stamp received in the student's passport upon arrival counts as a visa. For more information, check the NAFSA website. If you're not sure if you need a visa, check the U.K. consulate website.